Alternatives to CPAP Therapy for Snoring and Obstructive Sleep Apnea. 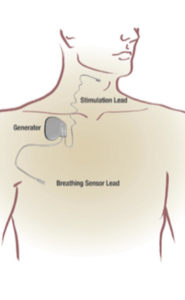 CPAP remains the gold standard first line treatment for Obstructive Sleep Apnea. Seventy percent of patients tolerate it well but for those patients who are intolerant to or failed CPAP therapy, there are several good alternatives available now. Above is a good option for Mild to Moderate Sleep Apnea and can be tried in Severe Obstructive Sleep Apnea. We can help fit it for you. You have to meet certain other criteria including good dentition with no loose teeth, crowns or moldings. It can’t be used with dentures or gum disease. Risks include jaw pain, temporo-mandibular joint problems or teeth misalignment. Find out more at tapintosleep.com. 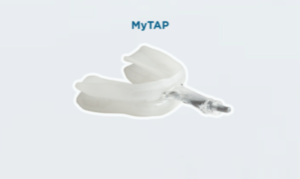 Above is another option and an example of a Mandibular Advancement Device or an Oral Appliance available at snorerx.com. After optimum adjustment and use of an Oral Appliance, a Sleep Study is usually performed to determine efficacy and benefit of the device. The above device can be used in patients who are intolerant to CPAP or have contraindications to use Mandibular Advancement Device. This device works by keeping the tongue pulled forwards while you sleep and creates more space in the back of the throat. It is available at GoodMorningSnoreSolution.com. Above Tongue Stabilization Device is another option available at AVEOtsd.com. Above is a type of device that combines the function of a Mandibular Advancement Device and a Tongue Stabilizer Device and is useful in patients with good dentition and has their tongue as a major factor contributory to their airway obstruction. 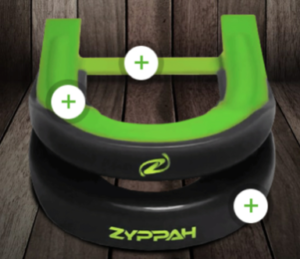 This device is available at zyppah.com. 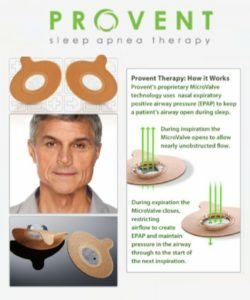 Patients with Mild Sleep Apnea or CPAP intolerant patients have an option to use EPAP device in the form of a unique Provent Therapy. This device during exalation produces resistance to airflow through your nose and produces back pressure to keep your throat open while you sleep. It’s a good option to consider when traveling. Explore further at ProventTherapy.com. Positional Therapy for Sleep Apnea and/or Snoring. Patients whose Snoring and/or Obstructive Sleep Apnea is restricted to the back or worse on the back can benefit from Positional Therapy. We use positional Therapy at times to be able to use lower CPAP pressures. Above is a T-Shirt with a pocket at the back for a tennis ball. 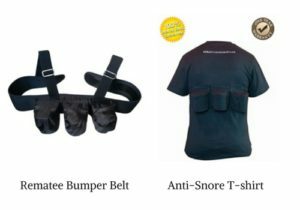 This is called Stop Snoring T-Shirt and is available at amazon.com. Above is a belt worn on the back to keep you off the back. Another good choice for Positional Therapy for Obstructive Sleep Apnea. 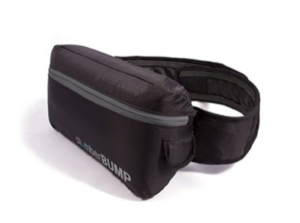 It’s called SlumberBump Positional Sleep Belt and is available at amazon.com. Above is a more expensive but a sure way to keep you off your back. It’s available as a belt or a T-Shirt. Available at AntiSnoreShirt.com. This is a perfect solution for Moderate to Severe Obstructive Sleep Apnea patients who are intolerant to and have failed CPAP therapy. It woks by stimulating a nerve suppling the tongue with a remote control. This way the tongue contracts and makes more space in the back of the throat. You would need to have a deep in sleep endoscopy to determine candidacy and then a surgeon places this device. To learn more visit: InspireSleep.com.